1. The Organiser of the Museum is the Municipality of Wrocław. 2. The Museum is a municipal institution of culture, which acquired legal personality upon entering it into the Register of Institutions of Culture maintained by the Organiser. 3. The seat of the Museum is the city of Wrocław, and its area of activity is the Republic of Poland and abroad. 4. The Organiser provides the financial means necessary for the functioning and development of the Museum. The Museum employs a round seal bearing the emblem of Wrocław in the middle and the name Wrocław Contemporary Museum in the surround. 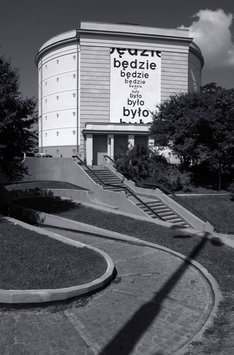 The objective of the Museum is to function in accordance with Article 1 of the Act on Museum, in particular to amass and exhibit a collection of contemporary art in the context of Polish and foreign art of the second half of the 20th century. 14) exchanging exhibitions with other museums and institutions, also foreign ones. 2. The Museum may pursue its objectives by means of cooperation with Polish and foreign cultural, educational and academic establishments, central and local government authorities, non-governmental organisations, the media, and other persons and organisations that do not have legal personality. 3. The Museum participates in the pursuit of objectives arising from strategies and programmes of the government or local government. General supervision of the Museum is exercised by the Minister of Culture and National Heritage, and indirectly by the Mayor of Wrocław. 1. A Museum Board operates in the Museum, whose twelve members are appointed and dismissed by the Mayor of Wrocław in accordance with the provisions of the relevant Polish legal regulations. 2. The Museum Board functions as stipulated in Article 11 of the Act on Museums. 1. The Museum is managed by the Director, who is appointed and dismissed by the Mayor of Wrocław in accordance with the provisions of the relevant Polish legal regulations. 1. The Director manages the Museum and represents it before outside entities. 6) concluding and terminating employment contracts with the Museum employees and undertaking decisions connected with the employment relationship. 3. The Director is charged with conducting preparatory, programmatic and investment efforts aimed at finishing the process of organising the Museum, building its permanent seat, opening a permanent exhibition in the new seat of the Museum, and making the Museum available to the general public. 4. The internal organisation of the Museum and the scope of duties of the individual organisational units is specified by the organisational regulations granted by the Director, subject to article 13 aection 3 of the Act on the Organisation and Pursuit of Cultural Activity. 1. The Museum manages its finances pursuant to the Act on the Organisation and Pursuit of Cultural Activity and other regulations, in particular the Act on Public Finances. 2. The Museum’s assets may be used only to pursue the objectives that arise from its scope of activity. The functioning of the Museum is financed from the budget of the Municipality of Wrocław, the Museum’s own activity, with funds received from natural and legal persons, and from other sources. 1. The Museum may also additionally engage in business activity under the existing law in force. 6) the leasing of premises to be used in ways that do not infringe on the Museum’s core activity. 3. The revenue obtained by the Museum through business activity can be used solely for financing the Museum’s statutory activity. Legal actions on behalf of the Museum in regard to material and financial duties and rights may be performed jointly by two persons, i.e. the Director and the Chief Accountants, or by persons authorised by them. 1. Any merger, division or liquidation of the Museum will be performed by the City Council of Wrocław under the conditions and procedures set forth in the existing law. 2. As stipulated by article 6 section 3 of the Act on Museums, this statute shall remain in force until the end of the process of organising the Museum, i.e. until the opening of the permanent exhibition. 3. Any changes to this statute shall be made in accordance with the procedure established for its granting.